Receiving invitation proofs is an exciting part of the planning process for any event. 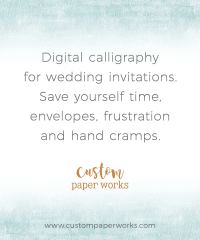 Especially for weddings, when the first glimpse of the wording often sends chills of excitement right down your spine! The formal invitation makes it REAL. 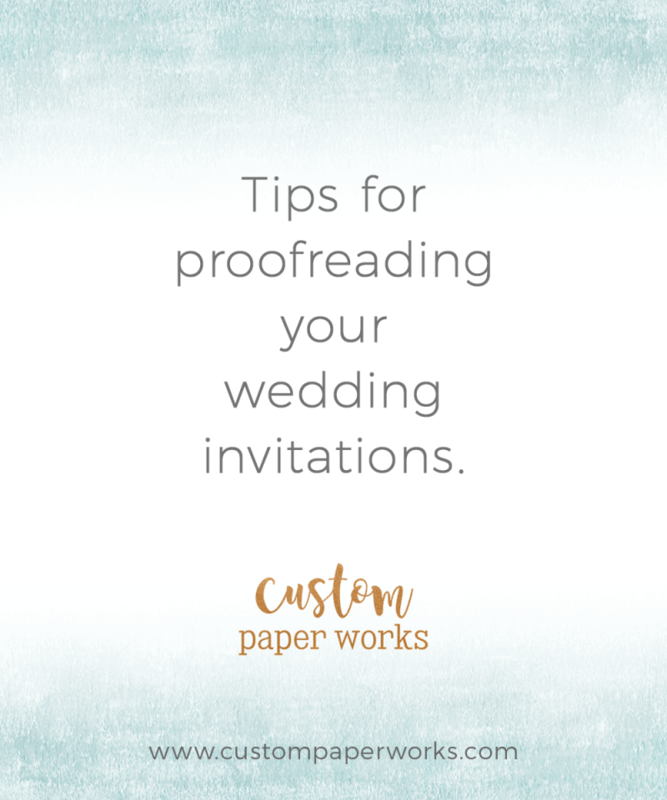 It’s tempting to quickly skim the proof and reply with a quick approval to print. Every designer’s contract or proofing email contains some form of the phrase “Client assumes responsibility for proofreading,” along with the implications: if a proof is approved, and the final printed piece contains a wording error which is shown on that proof, ultimately it is the client’s responsibility to pay for reprinting. Slowly. In a quiet place, without distractions. Read it out-loud the second time. starting at the last sentence on the page. 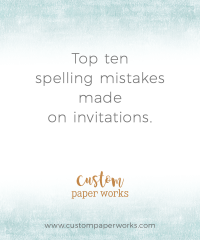 This helps catch spelling and grammatical errors because your brain will rely less on surrounding content, and focus more on the individual words and letters. Read through, and put it away for at least a few hours before reading through again. Ask several people to read through the proof. Find your pickiest acquaintance and give them time to read through it WITHOUT standing behind them. If you’ve made a significant change, read through the sentence again with the change in place to make sure it reads as intended. Also check for the same error throughout the proof. Especially helpful for dates and names. START FROM SCRATCH AFTER EACH REVISION. Check each and every proof as though it is new. Don’t only read areas where you requested changes before. The spelling of all names. Including your own. (Yes, it has happened). Check all dates. 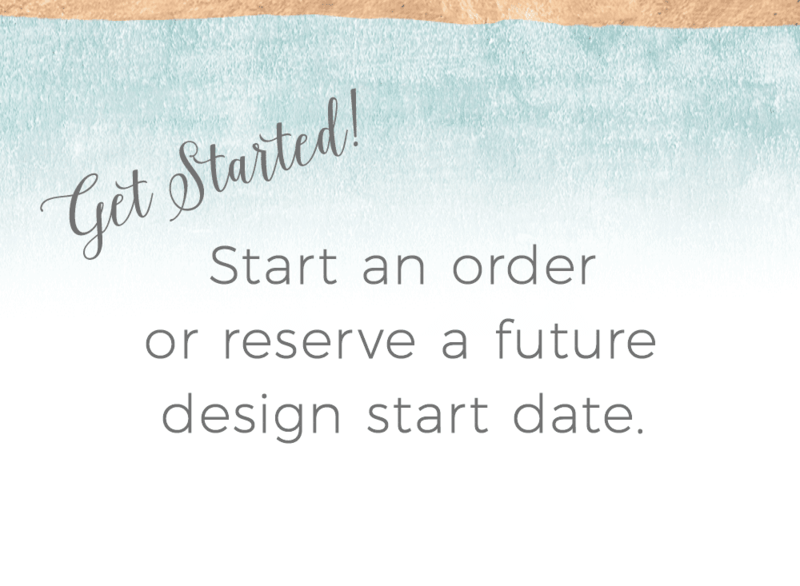 Wedding date, year, rsvp date, and any other date that is included in the invitation. Days, months, years, punctuation, and format for consistency as desired. Check that the date is on the day of the week that is shown next to it. The spelling of all locations, venues and street names. Verify all addresses. Look it up on more than one online mapping service. Call venues to verify. Drive there if needed. Check driving directions personally if possible. Drive the route with directions in-hand to make sure they are correct. Spacing. Look for extra spaces or missed spaces. As a side note, in design, we use only one space after a period. Not two (unless it has a specific design purpose). Website and email addresses (type them in while reading from your proof). Read all wording that appears as part of a piece of art (wording within passport stamps and monograms). Check shape and size of cards and inserts. Verify any layered papers. Different file types and print settings may change the appearance of the file, but if you have any questions, just ask. Check general colors. Computer monitors and printers display colors differently, and many papers are difficult to represent on-screen, but if something looks extremely different than expected, please just ask.